Feel good from the inside out with new underwear and socks! From boxers to briefs to boxer briefs, Westfield has all the underwear and socks you’ll need. Underwear and socks should never be taken for granted! Live your life comfortably with some new cotton boxer briefs in every color from solids to plaid. Boxers more your style of underwear? We’ve got those too! Whether it’s print or solids, satin, silk or cotton, you’ll find the underwear to suit your lifestyle. Just because no one can see the hole in your socks, doesn’t mean you don’t know it’s there! 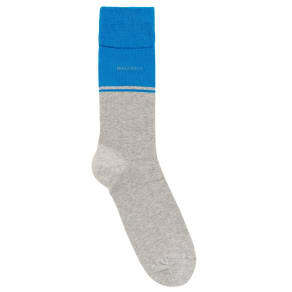 Clear your conscience and replace your old socks with some new cotton or wool blend socks. Add some style with a pair of print or argyle socks to peak out behind your pant legs. At Westfield, you’ll find all the underwear and socks in every color, style, and fabric!